Paul Armitage, General Manager – Le Golf National, said: “By proudly flying the GEO flag every day we are showing our customers, whether they be local residents, international visitors or corporate groups that we care about the same things that they do. We also want our staff to feel engaged and proud of the fact that Le Golf National provides great golf and much more for our community. 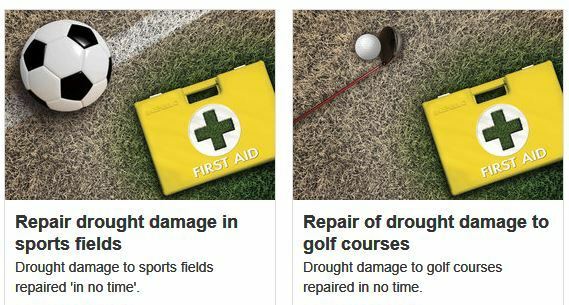 Effective water management is key to creating championship-quality playing conditions at any golf course. That’s why Le Golf National has installed a completely new drainage and irrigation system using Toro® products. The state-of-the-art technology is already helping the course save both water and costs. Located 24 kilometers from Paris, Le Golf National consists of three courses: L’Albatros (Albatross), L’Aigle (Eagle) and L’Oiselet (Birdie), as well as an area dedicated to training. It has hosted the French Open since 1991, and the Albatross course will be the host venue for the 2018 Ryder Cup. Le Golf National’s new irrigation system features Toro’s Lynx® Central Control, INFINITY® sprinkler heads, as well as a new pump station provided by local Toro distributor Solvert. The products work together to give course greenkeepers precise control over watering schedules, along with extensive soil and water usage data to make informed decisions. This system was recently put to the test during the HNA Open de France in June, when temperatures soared as high as 35 degrees Celsius (95 degrees Fahrenheit). Since the irrigation system was installed, Solvert has continued to provide Le Golf National with daily support as needed. This includes coordinating pump station maintenance with the help of local technicians, as well as training course staff to optimize the capabilities of the Lynx system. Le Golf National also has a contract with Toro NSN, a service that provides 24/7 irrigation and central control system support. The British and International Golf Greenkeepers Association, Toro and Reesink Turfcare have revealed the 12 finalists who will contest this year’s Toro Student Greenkeeper of the Year Awards. The 30th hosting of the finals of the prestigious awards will once again take place at BIGGA House, following a nationwide search for the country’s leading student greenkeepers. Thirty-seven candidates took part in the interview process, with 12 talented candidates making it through to the grand final, to be held at BIGGA House on 17 and 18 September. Up for grabs will be the 30th Toro Student Greenkeeper of the Year award and the 3rd Toro Young Student Greenkeeper of the Year award. Each year the awards enable BIGGA, turf maintenance equipment manufacturer Toro and distributor Reesink Turfcare to celebrate those talented young greenkeepers who are dedicating themselves to a career within the industry. The Toro Student Greenkeeper of the Year winner will receive an eight-week all expenses paid scholarship in America, including a six-week residential turf management study course at the University of Massachusetts, a trip to the Golf Industry Show in San Diego and a visit to Toro’s facilities. The Toro Young Student Greenkeeper of the Year winner will receive a work experience placement at the exclusive Vidauban Golf Club in southern France. They will also receive a trip to Continue to Learn at BTME and enjoy a five-night package that includes hotel, four days of education, travel and £125 expenses, plus a Toro training voucher. Stuart Green, head of member learning at BIGGA: “I really enjoy the Toro Student Greenkeeper of the Year selection process as it allows me to travel the country and meet some of BIGGA’s most ambitious and talented student greenkeepers. Each year I’m astounded by the depth of knowledge and enthusiasm for the industry shown by our candidates and it’s heartening to see that the future of the industry is in such safe hands. “Throughout its 30 years, the Toro Student Greenkeeper awards have grown to the extent that they are now acknowledged as the industry’s most prestigious awards event, and countless candidates have gone on to forge incredible careers within the turf management industry. 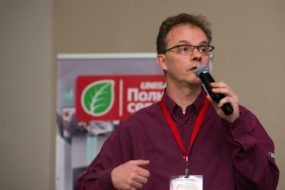 David Cole, Reesink Turfcare managing director and award sponsor: “As we approach our 30th award presentation, the popularity and appeal of the competition endures and continues to exceed expectation. Entries were up this year with over double the amount from employer nominations. This shows the commitment to career learning from golf employers, course managers and head greenkeepers, as well as demonstrating their faith in the abilities of their students. Golf courses can now sign up to join the Syngenta Operation Pollinator initiative quickly and easily, with an instant on-line form. Over 100 golf courses across the UK have already joined Operation Pollinator – helping to demonstrate the positive actions of the greenkeeping community, and their clubs, to make courses more attractive to pollinators and players alike. Glenn Kirby, Syngenta Turf Technical Manager, enthused that it’s a fantastic good news story that, collectively, creates a powerful message to shout about the good golf courses do for the environment. He highlighted that most courses are already undertaking practices that meets Operation Pollinator objectives. “It simply asks that you manage rough and out of play areas in a way that encourages wildflower food resources and habitat for pollinators to breed and overwinter,” Glenn added. By joining Operation Pollinator there are a wealth of resources to help communicate what you are doing – to players within the club and to the local community as a positive message of your activities. 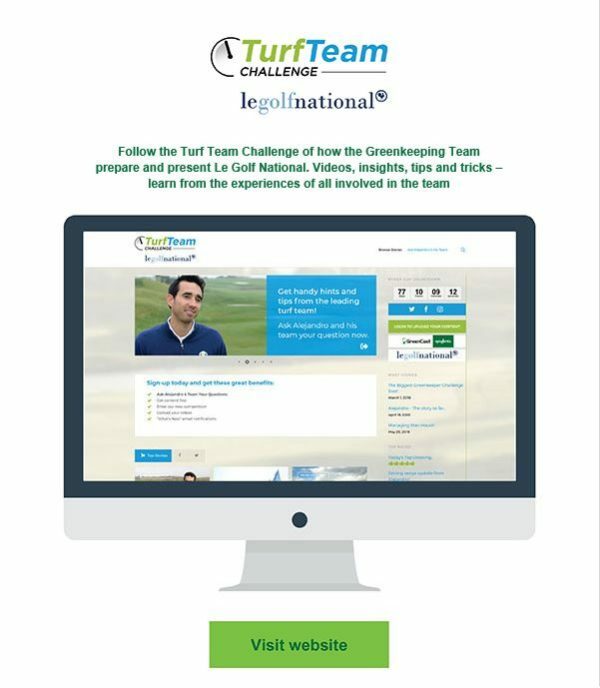 It also have the chance to meet and share experiences with other like-minded greenkeepers and get tips for what works in similar situations. 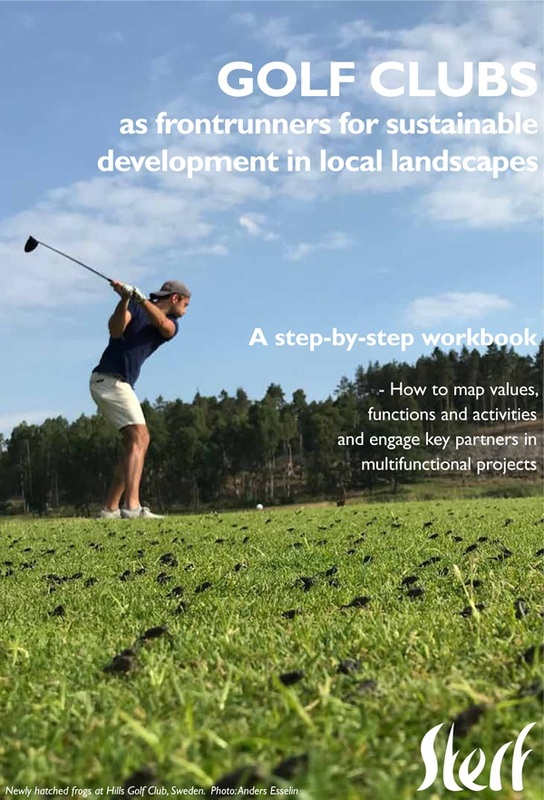 He urges greenkeepers to be proud of what they have already achieved, and how they can further enhance the ecological value of courses in the future. Foley United is proud to join the Federation of European Golf Greenkeepers Associations (FEGGA) as a Patron Member. FEGGA and Foley United place a high value on achieving the highest standards of performance within the greenkeeping industry and it is a privilege to be able to operate within the FEGGA framework and work towards upping the game with grinding best practice. 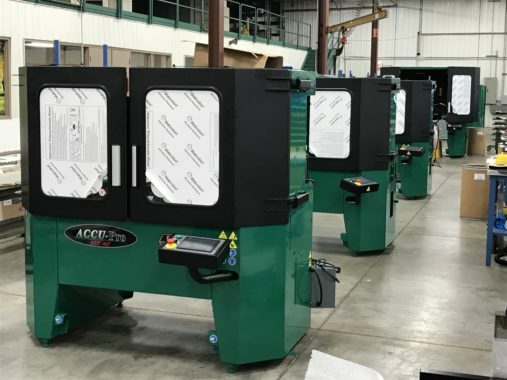 As a technology leader in grinding, Foley takes a responsibility for demonstrating the difference maintaining mowing equipment to optimal OEM specifications can make, and aim to communicate this through seminars, articles, e-newsletters and practical demonstrations. Outlining the various grinding options to suit any budget is also an important aspect of the FEGGA partnership. Educating greenkeepers on their grinding options enables them to choose what is best for their needs, be it relief grinding or spin grinding or a combination of both, Foley United can offer a tailored cost-effective grinding solution. Making in-house grinding a financially sound investment for FEGGA members is achievable through Foley United’s range of products that can be upgraded over time while always delivering a top-quality grinding experience. The European Sales Manager for Foley United in Europe, Middle East and Russia is Arjen Spek. Please contact by email arjenspek@foleyunited.com or mobile number +31627383013.